You would think that a 13-hour flight might have you sleeping through most of it—but not when you’re heading to Japan! One of the greatest experiences in my life was the opportunity to travel and train in Japan. 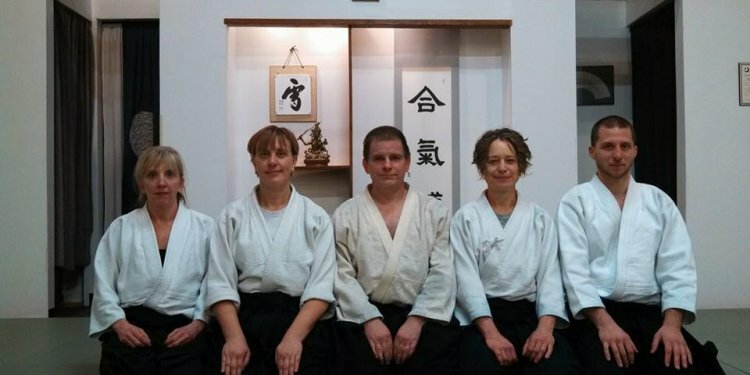 There, at Ichikukai Dojo, we trained intensely in Misogi, a purification practice through chanting and breathing. The training was hard, rigorous, and painful, though I can’t say much about the specifics of it (you have to experience it for yourself to really understand it). That’s what my behavior was when I first began cleaning sensei’s office - but rightfully so! Anyone who enters his office can agree that there is some serious energy contained in that small room - an energy that both comforted and intimidated me. As I began to pick up and dust the many items, I came to a horrifying realization: everything was precious and delicate and fragile and important. I found myself shaking when I had to pick up an inscripted zippo lighter and after I dusted off a couple of seashells I placed them back down as if they were fine china. Two hours later I had finally finished cleaning the office. My apartment had taken on an interesting smell. It wasn't unpleasant, it was just noticeably different. I set out to find the source but there was nothing out of the ordinary. No moldy food in the pantry, no forgotten piles of doggy accidents. In fact, my apartment seemed clean. I try to take time every day to clean the big messes in my apartment. No dishes go unwashed, my counters are cleaned a few times a day and I pick up all the cardboard Jet (my dog) has torn and tossed around. In the changing room, after the 2nd kyu test we had just sat through, Diego asked me, “So what did you think of the test?” It was December, my third month in the dojo. By then, I had discovered that class often left me at a loss for words. Watching the examination, the martial nature of our training was apparent to me for the first time. I felt that in a substantial way, Aikido was a way into matters of life and death, of living and dying. Not that the practice itself was dangerous; but that the techniques were about something much deeper than form alone. And I must confess that my initial reaction to that 2nd kyu test was a feeling of fear.